See our Instagram for DIY Ideas! Your little ones will find all the fun and creativity of a day at the beach with the Strongbox 2 Square Sandpit. From the comfort of 2 folding seats, your budding architects can plan their sand constructions and take a break to creatively problem solve any design snags. Please see below for all Click & Collect locations. Place an order online, get notified and pick up the order at your convenience. Check out our stockists below - please check directly with these stores for stock availability. Strongbox 2 has a new and improved size. 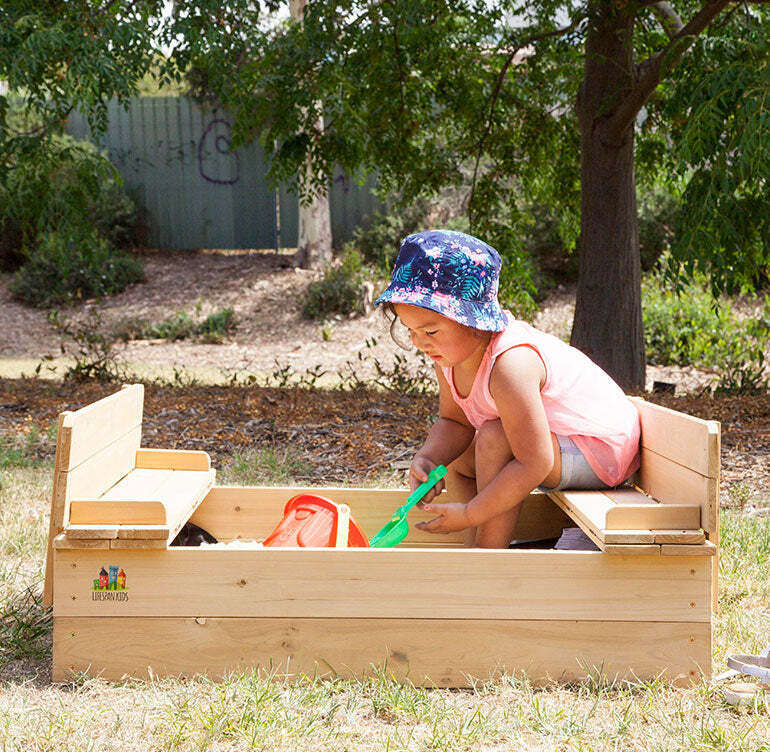 The Strongbox 2 Sandpit can be folded for two rows of comfortable seats or folded in to cover the sandpit up, keeping the sandpit nice and clean. Our Strongbox 2 seat comes with metal hinges to ensure easy, effortless folding with a reinforced back rest. The timber used in our Sandpits are treated via high temperature drying, degreasing and is stained against wood rot and insect damage. 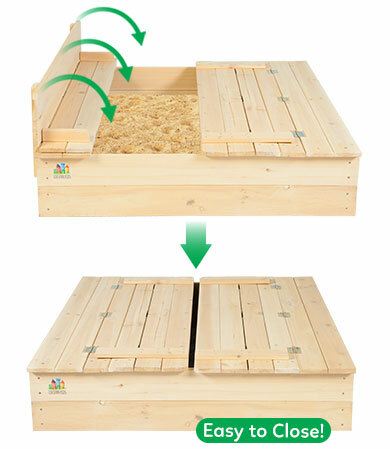 Our Sandpit provides an internal sheet to hold the sand within the sandpit, prevents grass and weeds from growing into the sand play area and allows for water drainage. 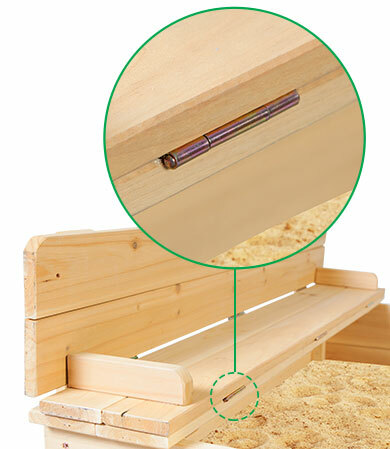 Our Sandpits come partially assembled with pre-drillings on some a reas to allow for easy assembly. All you'll need is a screwdriver and 30 minutes of your time. 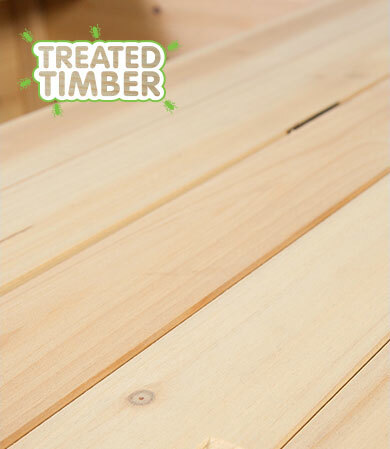 Treated timber for long term protection against rot, fungal decay and insect attack. This product comes partially assembled in a box with assembly instructions included.